At RVA City Painters, our Richmond painting contractors are here to help you achieve all of your property beautification goals. We specialize in both commercial and residential painting services as well as interior and exterior painting projects. Together, we can vastly improve the look and feel of your property. With over thirty years of experience in the painting industry, our house painters in Richmond, VA are some of the most highly skilled professionals in the area. More importantly, we take an immense amount of pride from our work. When you hire us for your next project, you can feel confident knowing that we will work our hardest to achieve your complete and total satisfaction. 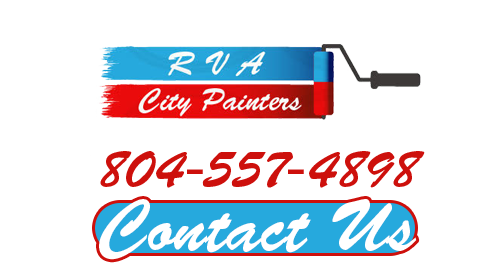 If you are planning a painting project in Richmond, call RVA City Painters today. Our painting professionals are here to help make your effort a resounding success. Our staff would be happy to answer any questions that you may have. We can schedule your appointment today. Our house painters in Richmond, VA especially enjoy helping local families with interior painting projects. We know how fantastically rewarding these efforts can be. Our team is happy to help each and every one of our customers achieve all of their unique goals. Our painting contractors understand that you have a vision of what you want your home to look like. Throughout the entire project, we will constantly stay attuned to your inputs. In this way, we can ensure that your vision becomes a reality. When you decide to paint the exterior of your home or business, you want to achieve the best looking and longest lasting results. With our professional assistance, you are guaranteed to make the absolute most our of your effort. 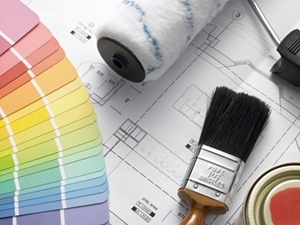 Our painting contractors can help you select the best paints and materials for your project. We can then repair and prepare every surface of your property that will be painted. This meticulous process will ensure that you have a uniformly beautiful paint coat that will provide your home or business with the best possible long term protection. Contact us today for exterior painting in Richmond, VA. In addition to our exceptional painting services, our Richmond contractors are also here to help you keep your property as clean as possible. We specialize in power washing services. This method is the best way to clean concrete, wood, vinyl siding, and more. Our power washing experts will customize our efforts to clean your property in the most efficacious manner. After our services, your home or business will look its absolute best. If you are looking for a dependable Richmond painting contractor then please call 804-557-4898 or complete our online request form.